I oppose wars and militarism of policing because they are morally wrong. People suffer from state-sponsored violence in their lives and I do not want to fund it, tolerate it or ignore it. But "join me in opposing war because it is wrong" is not a very effective message in these times. One must counter immense spending on propaganda constantly persuading fellow citizens that investment in weapons of mass destruction, and basing an economy on "security" and surveillance, makes everyone safer. Along with regularly orchestrated (and well-funded) terror events and squads designed to keep fear high. Q: What do you get when you cross 9/11 with Power Rangers? An anti-war message linked to austerity seemed effective after the banksters crashed the economy and got bailed out while the rest of us got sold out in 2008. 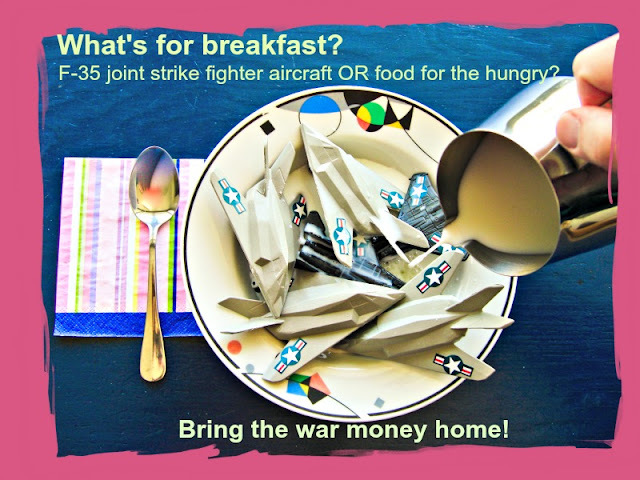 Each time a public program like education or food stamps was cut while spinning the false narrative of the necessity of austerity, the Bring Our War $$ Home campaign pointed out the error of that analysis. Why are we broke? Ask the Pentagon. The F-35 jet, a "defense" contract that Sen. Bernie Sanders worked hard to bring to his home state of Vermont. 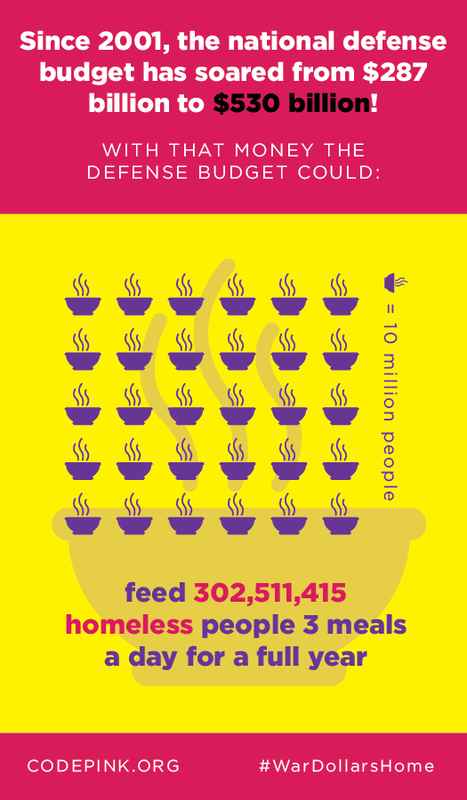 The scale of the budget provided to the Pentagon and its contractors each year dwarfed any social spending. Just a few weeks of the Afghanistan war budget alone would have funded my schools and yours with money to spare. As reported by Liz Dwyer at Takepart, "UNESCO’s Education for All Global Monitoring Report puts the cost of educating every child on the planet through grade 12 at $340 billion. The expense of extending education opportunities from grades 9–12 is $39 billion of that amount." The challenge, again, is to tell this story in the face of massive propaganda to the contrary. Read the comments section of any daily newspaper to see how deeply people in the US have been duped into believing that feeding poor kids or providing them with public schools have bankrupted the nation. So, I'm ready for a new messaging strategy. When I look around and notice what people -- especially young people -- are concerned about right now it is the environment. They are scared, and rightly so, that human-induced climate change is well underway, and that it threatens to extinct life forms currently on the planet. What role do endless wars waged by the U.S. and NATO play in global warming? In September, 2015 Maine will have yet another Blue Angels air show, a petroleum burning exercise billed as entertainment but admittedly intended as an aid to recruitment among poor Maine kids so they'll consider joining the military. Paid for by me and thee. What do you suppose the CO2 output of this "entertaining" spectacle is? Some people have done the math. At a time when climate change is front and center as a global concern, in a state that is the front runner in addressing the US's global warming mitigation strategies, in a city which has created a Climate Action Plan with the goals of reducing overall greenhouse gas emissions to 20% below 1990 levels by 2012, what are the Blue Angels doing performing in San Francisco, CA? According to the Blue Angels and US Navy's own webeites, one F/A-18 uses approximately 8,000 pounds or 1,300 gallons of JP-5 jet fuel during a show and over the course of a year, including transportation, training, etc., the squadron, including Fat Albert, burns approximately 3.1 million gallons of fuel. 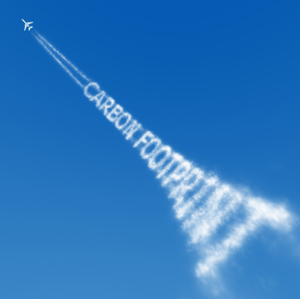 Using jet fuel carbon emissions estimates provided by Earthlab to be 23.88 pounds of CO2 per gallon*, each Blue Angel flight produces 31,044 lbs of CO2, with a total yearly emissions of 740 million lbs of CO2 over the United States. With four scheduled shows with six planes each per show during Fleet week, that would be 745,056 lbs of CO2 emitted over San Francisco in a two-day period, not including practice flights. I hope that when San Francisco became the first city in the US to certify its greenhouse gas emissions, it didn?t forget to include its yearly guests, the Blue Angels. This summer I will be working with others in Maine on a campaign to call attention to these life-threatening facts. We need a good pithy slogan that can translate into a meme. #NoCO2Show is one possibility but I'm sure there are better ones. Reply in the comments section with your ideas, and stay tuned. Lots of scientists and other smart folks within the Pentagon have been studying, writing and warning about climate change for years. If only we could link up with them! I like #PentagonClimateFail as a hashtag. The irony, which I think not many people outside the military know, is that there are lots of smart folks IN the US military, including scientists, who are well-informed and very worried about climate change. If only those folks were working with and FOR the rest of us! Maybe their wish for their offspring to survive will trump their adherence to nationalism. We can only hope! I don't buy the argument that there are people within the military that are concerned about climate change or about spending the money the military gets on anything other than the military. They will never challenge the military priorities in order to promote peaceful efforts to help the 50 million refugees in the world or to help poor people anywhere. In fact they will do nothing that they feel will challenge the military and their priorities in any way. To say they care about global warming is disingenuous because they are bought and paid for by their military overlords.